Carmen Samele, 75, of Torrington, CT, passed away Tuesday, January 15th, at home. He was the beloved husband of Darlene Cleveland Samele. Carmen was born in Winsted, CT on July 27, 1943, a son of the late Jeanne (Desmarais) and Frank Samele. 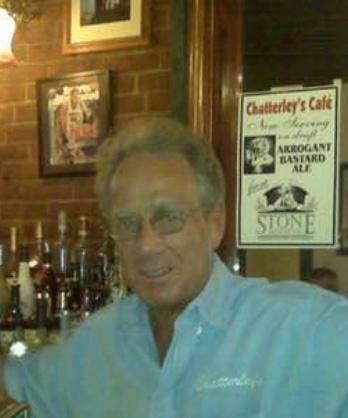 He was the owner of the former Teddy's A Go Go, Regency Lounge, and Casa Da Bella in Torrington and Shelly's in Waterbury. He later helped his nephew Paul Jr. with operating PSam's in Torrington and Chatterly's in New Hartford. He was a member of the Foresters Club. Carmen always put his family first and was happiest when watching the New York Yankees with his son Todd. He also loved spending time with his grandchildren and watching them perform at The Nutmeg Ballet Conservatory, especially in The Nutcracker. Carmen touched the lives of so many with his humor and kind heart. In addition to his wife he leaves sons Carmen Jr., and Todd and daughter Leanne Roberts and husband Jason and their children Katherine and Andrew. He also leaves his brothers, Paul Sr. and wife Barbara, Robert and wife Linda, and Michael and wife Francesca, several nieces and nephews. Funeral Services will be held 11:00 AM on Tuesday, January 22 at Immaculate Heart of Mary Church in Harwinton, CT .Burial will be private at West Cemetery.